Kytabu, Africa 118, Save & Buy, Gamsole and access.mobile LLC are the 5 startups chosen by the 4Afrika Initiative for its mentorship program as part of its drive towards improving Africa’s global competitveness. The startups have been recognized on the basis of their business models, implementation of unique and scalable solutions, and addressing relevant problems on the continent. Through the Microsoft Center of Expertise, these 5 startups will particlpate in a business mentorship program and receive technical support on Microsoft tools (data platform solutions, unified communications, enterprise project management). access.mobile LLC (Uganda) A solution with a key focus in the agriculture and healthcare industries, giving enterprises the ability to collect, analyze and share clear, real-time information about their operations and supply chain activity. Africa 118 (Kenya) A mobile directory services solution that helps bridge the information gap both for enterprises and consumers. 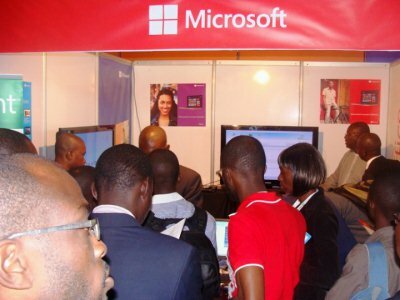 Gamsole (Nigeria) A mobile game production company creating Windows games, with downloads topping more than 4 million. Kytabu (Kenya) A textbook leasing application for low-cost tablets. Students can save more than 60 percent of their education cost by renting their textbooks on an hourly, weekly, monthly, school term or annual plan. Save & Buy (Nigeria) A Web and mobile platform that enables Nigerians to save toward the purchase of items conveniently and securely through e-commerce channels.